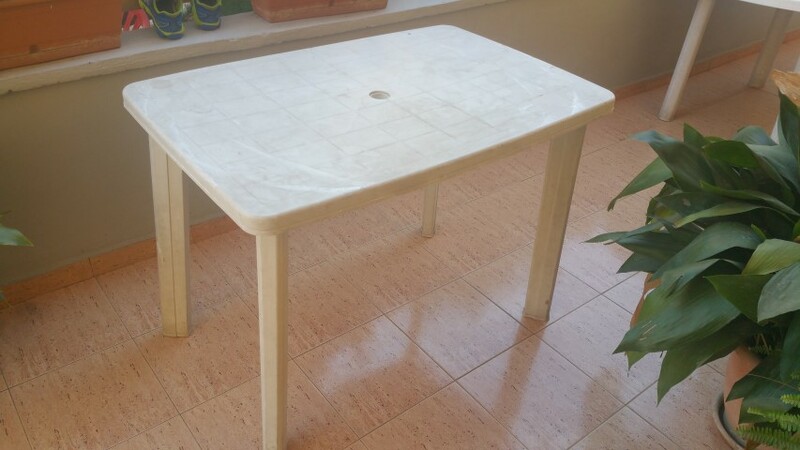 White plastic table designed for outside use (but equally comfortable inside). It has some paint drops on one side (see pic), but if you cover it with a tablecloth it looks great. This one is slightly smaller than the oval one and is in slightly newer condition. It also has a hole in the middle for an umbrella if you are so inclined. 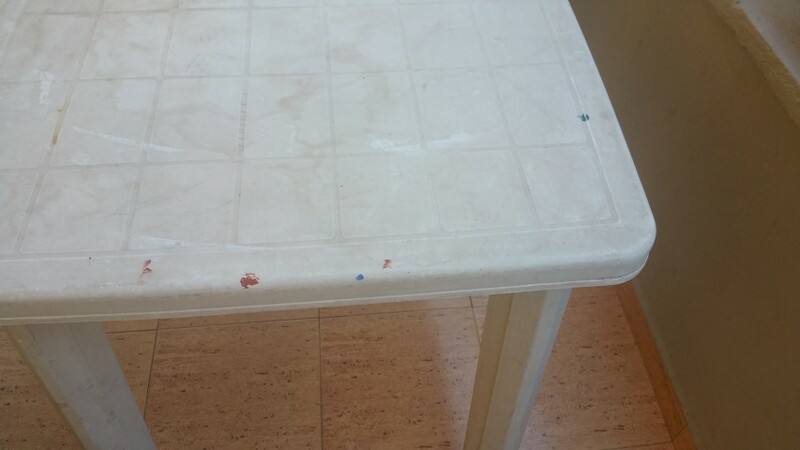 There are a few dots of paint on one end, so a tablecloth will still be necessary if you want to use it in a nice context. Note that a table like this can have the legs removed and it can be stored in a very small place, providing capability of adding additional seating around your table at a holiday or etc.